At the same time as the OAW received its first contract for the D.III in April 1917, Albatros received an order from Idflieg for 200 D.Vs, referred to as "lightened D.Ills". The D.V retained the wings of the D.III (although the aileron cables were led through the upper wing), was powered by the high-compression Mercedes D IlIa with oversize cylinders and offering 180hp, and mounted twin 7.92mm synchronised LMG 08/15 machine guns. 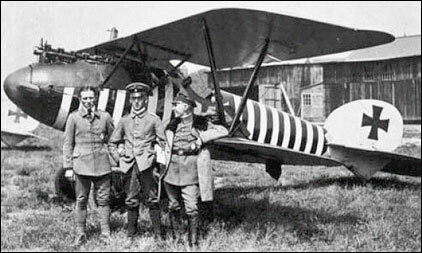 The D.V experienced a recurrence of the wing failures (previously suffered by the D.III) as early as May 1917. Four hundred more D.Vs were ordered, nevertheless, in May 1917 and 300 in July, after which the Idflieg terminated production in favour of the D.Va which reverted to the D.Ill-type aileron control cable arrangement and was reinforced throughout. The last Albatros fighter to see operational use in World War I, the D.Va arrived at the Front in October 1917, by which time 1,612 fighters of this version had been ordered. Service of the D.Va peaked in May 1918 when there were 928 (plus 131 D.Vs) in operational use. Could some one explain how the aileron cables were rigged on the Albatros DV. I'm curently building the 1/32 scale wingnut wings kit but the instructions don't really show how the aileron cables were rigged through the upper wing. It appears as though the cables cross over but I'm not sure. A diagram would be great. The cross section of the D-V fuselage was more rounded than that of the D-III, and the shape of the rudder was more rounded. 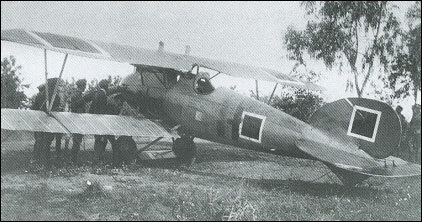 The biggest problem with this fighter was the weakness of the sesquiplane wing arrangement, which was carried over from the D-III. The narrow lower wing had only a single spar, and tended to twist, and even break, under the stress of diving or violent combat maneuvers. Albatros attempted to fix the problem on Later-production DVa aircraft by adding a small additional interplane strut to brace the lower wing, visible in the lower photo and in the 3-view drawing. It helped, but only up to a point. I think tthat this plane was one of the nicest to look at during the WWI era. Nope, I'm wrong; this is the right plane. Fuselage was a development from the unsuccessful D.IV, wings returned to the D.III unequal-chord configuration. First deliveries of this plane began mid-1917. My memory may be faulty but I believe this plane was an update of the D.III, addressing structural flaws with the 'V' wing struts. The D.V had 'N' struts. The pictures here seem to be of the wrong plane? This is pretty advanced. Anyone know what year ? First and only plane I've seen with a reverse trailing 'camber'. The performance would be interesting. It seems to have it all.